PRODUCT: Cleasby # C00800, 2-Wheel Insulation Transport Cart with 18 X 8.50 Tires. Price/Each. 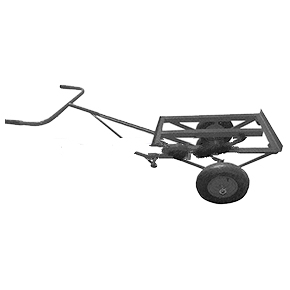 DESCRIPTION: Heavy-duty all steel flat transport cart with oversize tires. Easy to load/unload. Rolls easily over roofing surfaces.